The origins of the Odyssey lie most likely in an overland trip made from Istanbul to Beijing (using public transport) in 2003, which to me set Asia apart in terms of cultural diversity, physical beauty and historical richness from any other part of the world. Despite this, the initial focus of a long overland trip by car was actually Africa. However, as dreams gave rise to ideas and these ideas gave rise to firm plans, the hooks which had been planted in my mind in 2003 steered me back toward Asia. When, on the 6th May 2007 I initially left the UK, I envisaged being away for between twelve and eighteen months. I had no idea that I would be on the road for just over four-and-a-half years. As the months racked up, the journey stopped feeling like previous trips I had made, with defined end-points and a fixed duration; rather the journey became my life, a marvellous expression of freedom of movement, forever enlivened by encountering new situations, meeting new people and seeing more of the world. As the years passed, I never felt any compulsion to return to the UK or Western Europe, a place I frankly disliked living in. After four years however, I began to run out of new places to see and an element of stagnation took hold. Faced with another long northern winter, I decided to finish the trip, returning to the UK on the 1st December 2011. Following my return I had remarkable success in attaining a master’s degree and a job which offered both generous holidays and remuneration. 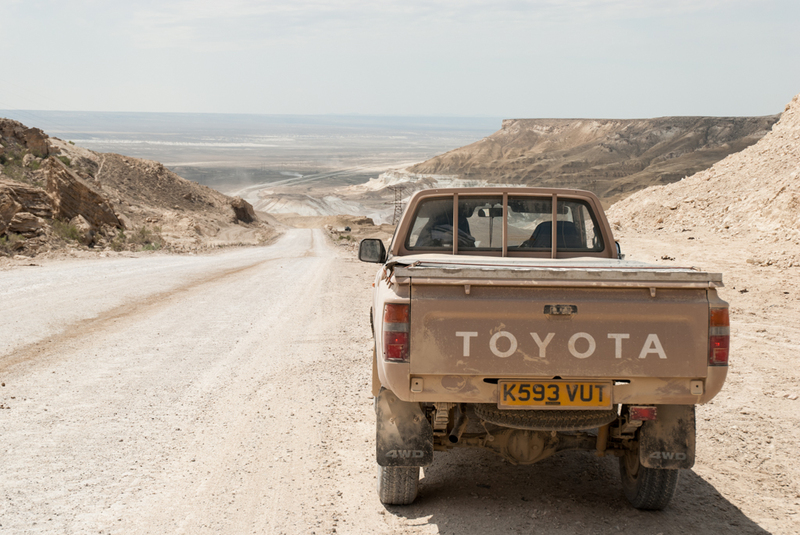 I was even able to take off thirteen months before starting, which gave me time to finish the restoration of the Hilux and set off again in June 2014, returning in November of that year, thus bringing the total journey time to more than five years. Now in steady employment, I use my leave entitlement each year to make further trips in Eurasia; shorter in duration but similar in philosophy to the earlier, longer stages. What follows is a summary of the trip to date, a very brief overview of the entire route which is described in the text. Numbers refer to particular Stages, and are clickable hyperlinks. The Odyssey starts when I leave the UK in May 2007 and spend a month in Central Europe, culminating in my being robbed in Romania. These weeks are more of a lead-in, something of a false-start and not particularly interesting. Thus the accounts of the Odyssey begin upon crossing into the Former USSR in June 2007. (1) Crossing Ukraine stopping only in the capital Kiev, I enter Russia for the first time and drive half-way across the country via Moscow, Yekaterinburg and Novosibirsk to the mountains and republics of southern Siberia, before crossing into Kazakhstan, and spending some time in Kazakhstan’s sector of the Altai Mountains, before heading south to Central Asia proper. (2) I stop in Almaty for a week, pass through the south of the country, then cross into Uzbekistan, straight to Samarkand. I spend around three weeks in the beautiful Silk Road cities of Uzbekistan. 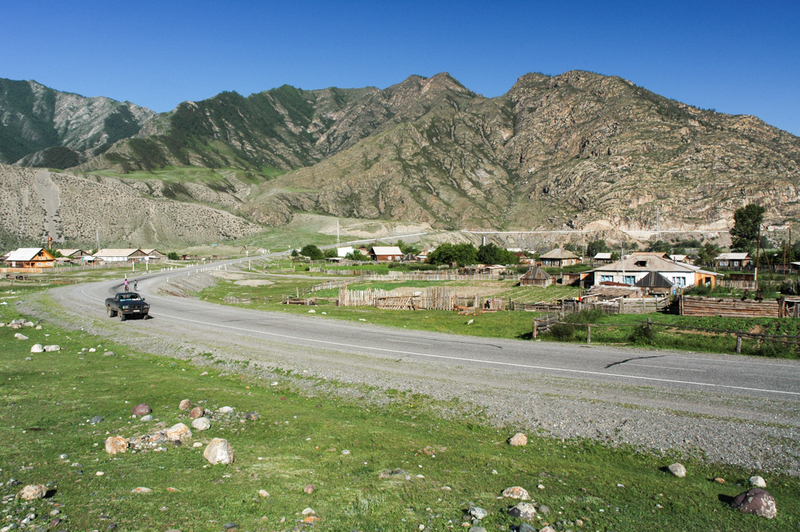 (3) I cross into Kyrgyzstan in the Fergana Valley. Kyrgyzstan offers both beautiful scenery and in the capital, Bishkek, something of a regional traveller’s hub, making it a good place to relax for a few weeks. 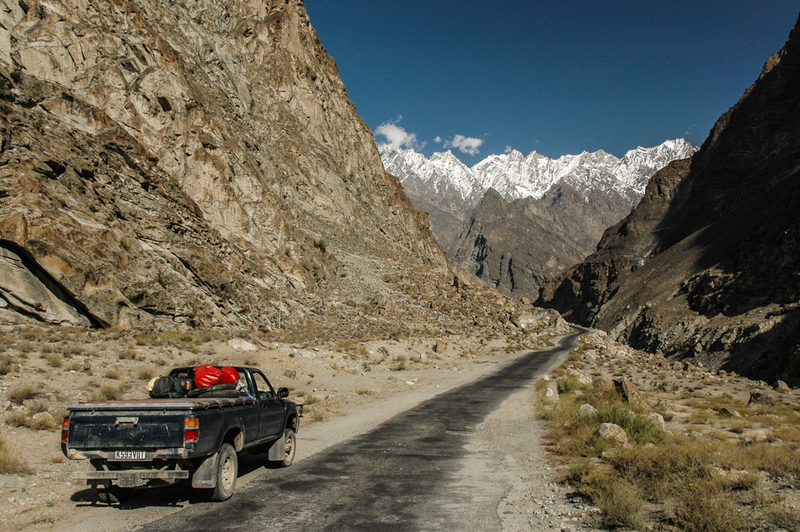 (4) In late September I drive south onto the beautiful Pamir Highway in Tajikistan, spending two weeks driving via the Wakhan Valley to the capital, Dushanbe. (5) Crossing back into Uzbekistan in October, I spend time in both Samarkand and Tashkent before entering Turkmenistan, transiting the Kara Kum Desert from the north to the Iranian border in the south. (6) In November 2007 I enter Iran, marking a major cultural and physical transition, from the Former USSR into an altogether more conservative region. Iran’s incredible depth of history and culture, kind and hospitable people, fantastic roads and absurdly cheap fuel mean I spend more than two months in the country, arcing from the north-east through the capital, Tehran, the ancient cities of central Iran, then west and south, close to the Iraqi border and along the Persian Gulf coast towards Pakistan. (7) In January I enter Pakistan which has been my favourite country ever since my first visit in 2003. First crossing Baluchistan to Quetta, I deviate from the traditional overland route and drive south to Karachi, then up to the Indus River to Hyderabad where a planned stay of one night with a host family turns into one month as I fall in love with and explore the wonderful interior of Sindh. Leaving Hyderabad I drive north along the Indus into Punjab and the city of Lahore. (8) I cross into India in March, a country I have very mixed feelings about, though there are plenty of positive experiences as I thread my way east through Rajasthan and Madhya Pradesh, joining the Ganges in Varanasi, through Bodh Gaya in Bihar and along the Grand Trunk Road to Kolkata in West Bengal. In April I enter Bangladesh and after spending time in the hectic capital, move south to St Martin’s Island. (9) Heading east into the Chittagong Hill Tracts, I enter a fascinating area of Hill Tribes along the Burmese border, which I follow across the border, back into India where I turn west once again. (10) In May I stop in first Sikkim and then Nepal for some trekking in the Himalaya, before driving westwards along the Terai Highway. (11) Back into India for a third time, in August I drive up to the stunningly beautiful landscapes of Himachal Pradesh and Ladakh, descending through Kashmir and crossing back into Pakistan in September. (12) In late September 2008 I turn north towards the magnificent Karakoram and Hindukush Mountains of northern Pakistan; the places I had most enjoyed on my initial 2003 trip. 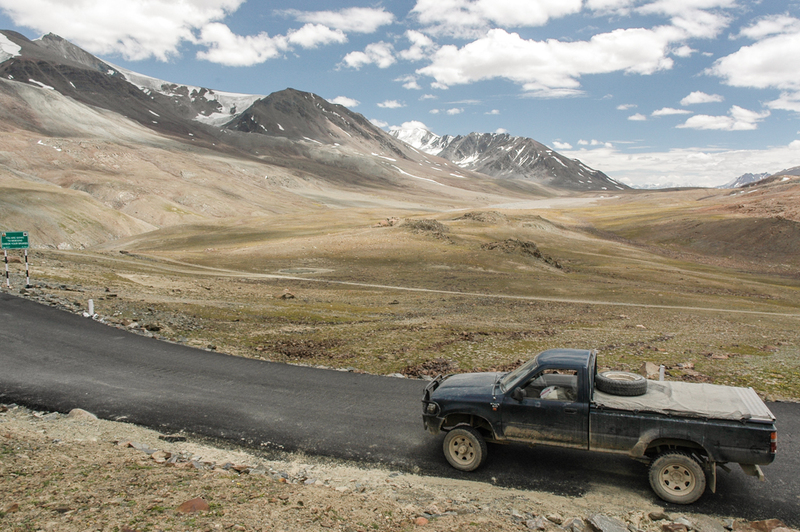 Following the Karakoram Highway all the way to the Chinese border, I must turn back, for China is a frustrating dead-end for independent vehicle-based travel. Instead, I cross the Shandur Pass west, into Pakistan’s legendary North-West Frontier Province, passing through Chitral and then over the difficult Lowari Pass, back down to Islamabad, then further south back to Hyderabad. (13) After some relaxing days in Hyderabad and a trip out east into the Thar Desert on the Indian border, I drive west towards Iran, along the remote Makran Coast, but finding no way into Iran must back-track through Quetta and along the traditional route through northern Baluchistan. Once in Iran, after an unforgettable stay in Zahedan, I head south, back to the Makran Coast, then west to Bandar Abbas from where I make a short trip to Qeshm Island in the Persian Gulf. (14) I spend three months in Iran, this time taking in the more remote desert and border areas, including the dry plains of the north-east and the welcoming valleys of Kurdistan. It is during this time that I decide to return to Pakistan, slowly making my way there through Iran’s great deserts and stopping in Yazd, my favourite Iranian city. (15) In March I make a third crossing of Baluchistan, this time dropping down to the Indus at Jacobabad and driving straight down to Hyderabad where I stay for much of the next five months, volunteering in a school, doing some mechanical work on the truck and generally enjoying living in a vibrant and exciting place. 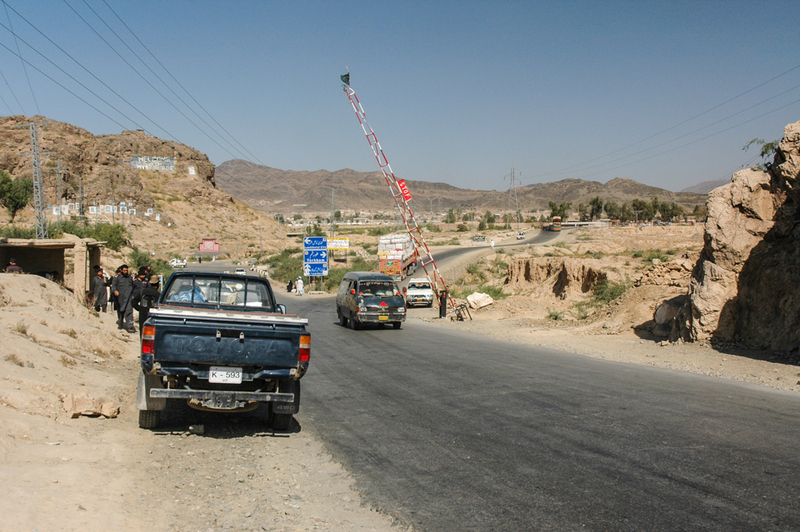 (16) In September 2009 I leave Hyderabad, driving back to Quetta, then north along the wild Afghanistani border, stopping in Zhob and Kohat before moving on to Islamabad and finally Peshawar. In October I make the long dreamed-of crossing of the Khyber Pass into Afghanistan where I visit Jalalabad, Kabul and Bamiyan, before crossing north over the Salang Pass to Mazar-e Sharif. (17) I make a side trip into Uzbekistan, then return and head west once again through the old caravan cities of the north: Balkh, Shebergan and Andkhoy, making an almost equally fascinating detour through Turkmenistan. 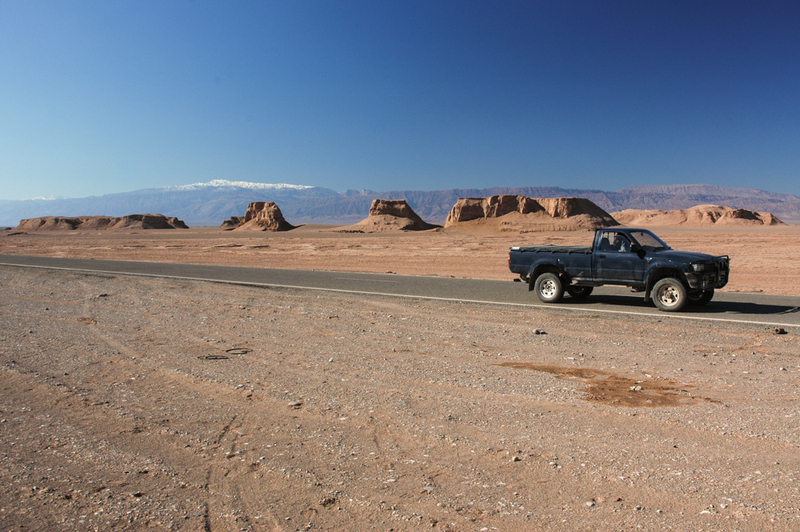 (18) In December I enter Afghanistan for a third time and drive to Herat, probably the finest city in Afghanistan. After a week in Herat, I enter Iran and spend three months with new-found friends, exploring the Caspian coast and getting to know Tehran. (19) In late March 2010 I leave Iran, re-entering the Former USSR in Azerbaijan and moving west along the Caucasus as winter turns to spring, crossing into Georgia and visiting the charming capital, Tbilisi and the mountainous region of Svaneti, before entering the beautiful breakaway republic of Abkhazia. (20) From Abkhazia I make an unorthodox entry into Russia in April, turning east again, passing through all the republics of the North Caucasus, including a trip into the breakaway republic of South Ossetia. 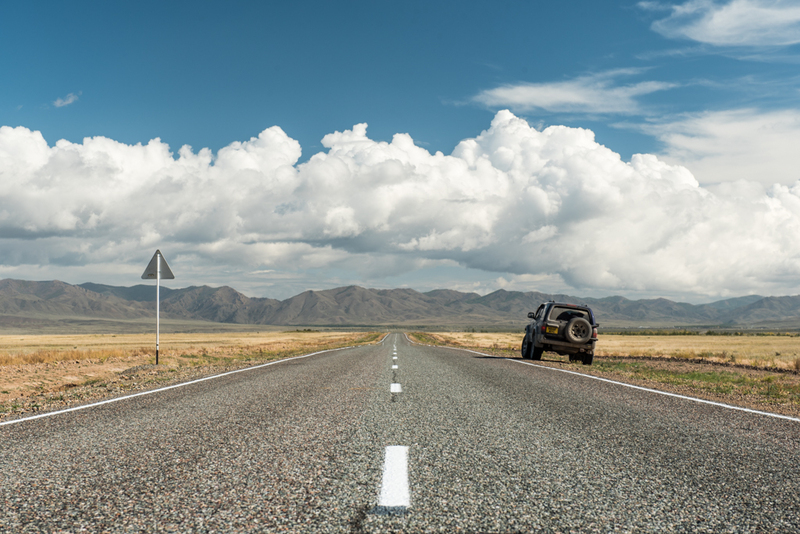 (21) From Dagestan, I drive north via the republic of Kalmykia to Astrakhan, up the Volga through Volgograd and Saratov and east into Kazakhstan, crossing the seemingly endless, flat expanses of steppe. (22) I re-enter Russia briefly in July, driving up through the Altai Republic to the Mongolian border, then enter Mongolia for the first time, travelling on endless dirt tracks down the ethnically Kazakh western edge of the country to the far south west, then turning north towards the centre and east to the capital, Ulaanbaatar for some relaxation. 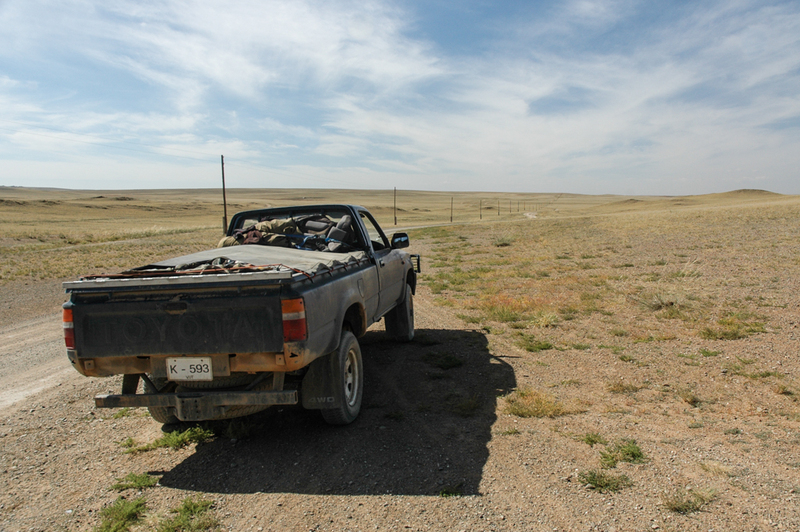 Continuing, I drive south west again into the Gobi Desert, then to the extreme south-east of the country, where due to quarantine measures I am forced to return via Ulaanbaatar to the north of the country in order to exit back to Russia. (23) I enter Russia in September and spend a few weeks exploring eastern Siberia, visiting Lake Baikal and the Barguzin Valley from Ulan Ude, then heading east and re-entering the far-east of Mongolia in October. 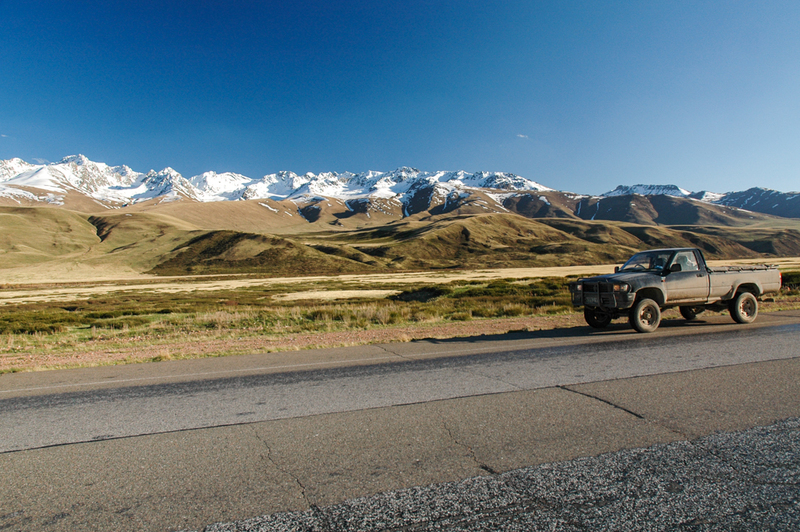 I drive across the north of the country as winter sets in, passing beautiful Lake Khövsgöl and entering the frigid, snow-covered high plains of the west, stopping in Khovd before heading north towards the Russia border. (24) Back in Russia in late November, I continue west through the Russian winter, stopping in Omsk, Samara, Vladimir, Veliky Novgorod and Saint Petersburg before heading for the EU border. (25) I briefly visit Estonia and make further stops in Latvia and Lithuania. I spend the worst of the winter in Poland and then enter Russia’s Kaliningrad Region in February 2011, before returning to Estonia and driving back into Russia, to the broder with Belarus. (26) In late February I enter Belarus, looping around the country and taking in the subtly beautiful scenery and charming people. (27) Re-entering Russia in March I drive east once more via Smolensk and Ulyanovsk, then explore the South Urals in Bashkortostan driving south via Orenburg to the Kazakhstan border. (28) Entering Kazakhstan in April 2011, I make a journey southwards passing the Aral Sea, Baikonur Cosmodrome, Kyzylorda and Shymkent to Taraz, from where I make a brief crossing of northern Kyrgyzstan, back into Kazakhstan. From here I explore the centre of the country in a large loop, stopping in Almaty before making my way back to the southern border with Kyrgyztsan. (29) I re-enter Kyrgyzstan in June and head south to the Fergana Valley, where I cross through Tajikistan via the city of Khujand, on to Tashkent in Uzbekistan, then south through the mountains of western Tajikistan and back again into Uzbekistan. I spend some days relaxing from the fierce summer heat in Samarkand, then head west via the desert cities of Zerafshan and Uchquduq and on through Karakalpakstan into Kazakhstan, driving up the Ural River and into Russia once more in August. (30) I drive quickly south through Russia via Tolyatti, Yelets and Rostov-on-Don, entering Ukraine in September and driving around the east, passing Donetsk and Kharkiv before returning to the beautiful capital, Kiev. Then south, via Dnipropetrovsk and Zaporizhia to Crimea, and west to Odessa. (31) I enter Moldova in late October, drive through the Gagauz Republic to the capital, Chișinău and east to the breakaway republic of Transnistria, returning to Moldova proper in the north and crossing to western Ukraine in November. (32) This final leg of the initial journey takes me through the beautiful Carpathian Mountains and the charming city of Lviv, one of the nicest in the Former USSR, before crossing into Poland in mid November, reaching the UK in December. On my return to the UK in December 2011, the Odyssey had elapsed 1,671 days and 155,681 kilometres. Returning to the UK, I slowly start to dismantle the truck in preparation for a full restoration, which is completed on the 2nd June 2014, the day on which I head east once more to resume the Odyssey. (33) I quickly cross Europe, entering Ukraine at the very same point from which I had left two-and-a-half years earlier, drive quickly across Ukraine, southern Russia and into Kazakhstan where I stop first in Atyrau. (34) I then head south through the fascinating region of Mangystau, peppered with beautiful landscapes and pilgrimage sites. 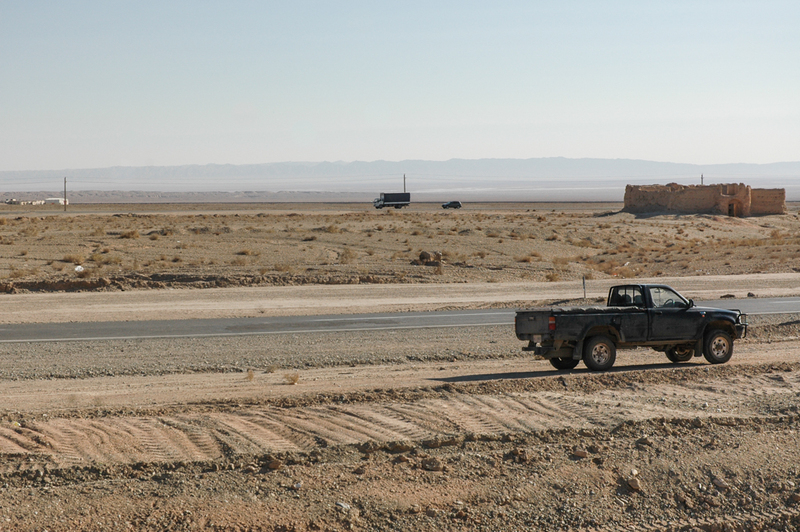 Continuing south I make a crossing of the deserts of western Turkmenistan to the Iranian border. (35) In Iran, I spend time in both the green ridges of the Alborz Mountains and the drier highlands of the Zagros Mountains, looping back north to Tabriz. (36) From Tabriz I visit the historically Armenian highlands of north-western Iran and in late July enter the Azerbaijani exclave of Nakhchivan, driving on into Turkey where I explore the rugged east which had been my first glimpse of Asia eleven years earlier. 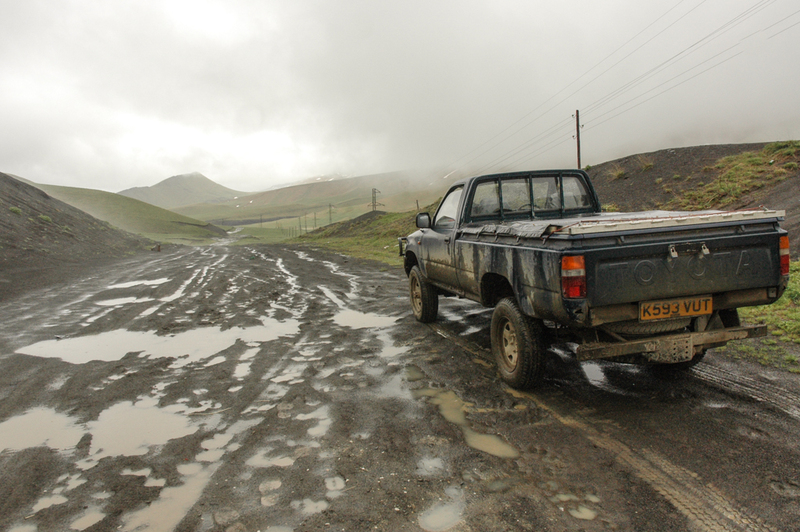 (37) In August I return to Georgia and drive around much of the country, including the mountainous regions of Tusheti and Khevsureti. (38) I enter Armenia for the first time in September. I slowly make my way south in Armenia, pausing in the pleasant capital, Yerevan and spending several days looping around the war-ravaged breakaway republic of Nagorno Karabakh, before returning to Armenia proper. (39) I cross back into Iran in October. Here I make my way west and enter Iraq for the first time, visiting Sulaymaniyah, Kirkuk and Erbil and the beautiful mountains of the north, before turning south-west into Mosul Governorate to visit the region’s Yezidi and Assyrian communities. (40) In late October I drive north into Turkey, making a crossing of the country and visiting the magnificent historical sites of Anatolia via Mardin, Diyarbakır, Şanlıurfa, Sivas, Ankara and Bursa, crossing into Europe in Istanbul, one of the world’s greatest cities. From here it is just a short drive via Edirne to the Bulgarian border, where I re-enter the EU and return to the UK in November 2014. On my return to the UK in November 2014, the Odyssey had elapsed 1,846 days and 189,052 kilometres. (41) In May 2015 (now based in Continental Western Europe), I set off back to Istanbul, then cross northern Turkey via Sinop, Amasya, Trabzon and Erzurum and enter Georgia, crossing from Batumi to Mtshketa and the Azerbaijani border. 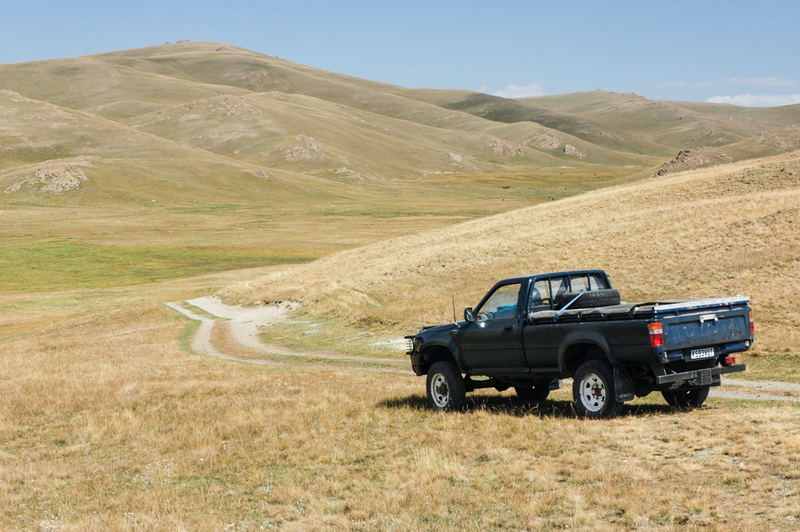 I cross Azerbaijan via Ganja and Barda to the Absheron Peninsula, make a quick trip to Xinaliq in the mountains. (42) In late May I drive north through Russia to the ‘Golden Ring’ region, then further north via Vologda and Kirov to the North Urals where I make a trip to the incredible rock formations of Manpupunyor. Then up to Arkhangelsk on the White Sea and further north to Murmansk, the Kola Peninsula and Tersky Coast, before heading back south to Petrozavodsk, and exiting Russia near Pskov. On my return to base in Europe in July 2015, the Odyssey had elapsed 1907 days and 208,819 kilometres. 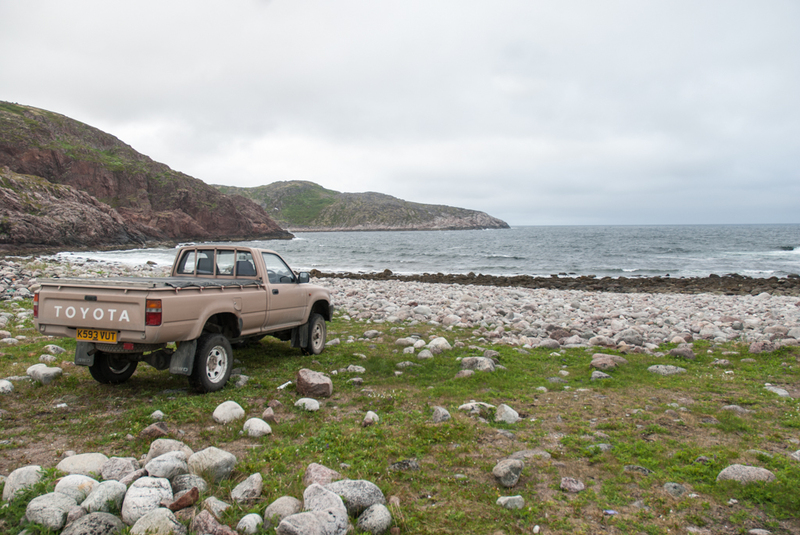 In November 2015, I purchase a second vehicle; a petrol-engined Toyota Hilux Surf, which I begin to overhaul and prepare for a trip through the coldest parts of Russia in the depths of winter. (43) In August 2017, a year later than originally planned I set off from my base in Europe and drive into Russia’s Kaliningrad Region, then out into Lithuania via the Curonian Spit and re-enter Russia proper, close to Pskov. From Pskov I reach the source of the Volga River and follow it roughly to the Republic of Tatarstan, where I turn north into the Urals, which I cross as far north as possible. I cross western Siberia, cutting through the most northerly corner of Kazakhstan and stopping in the city of Petropavl, continuing east and then south into the Kuznetsk Coal Basin and crossing into the Republic of Khakassia on rough mountain tracks. From the glorious grasslands of Khakassia, I drop into the Republic of Tuva then turn north once more into eastern Siberia, Irkutsk, Lake Baikal and the Republic of Buryatia. From here it’s a long drive through Trans-Baikal into the Russia Far East, where I stop in Blagoveshchensk, Khabarovsk and Vladivostok. 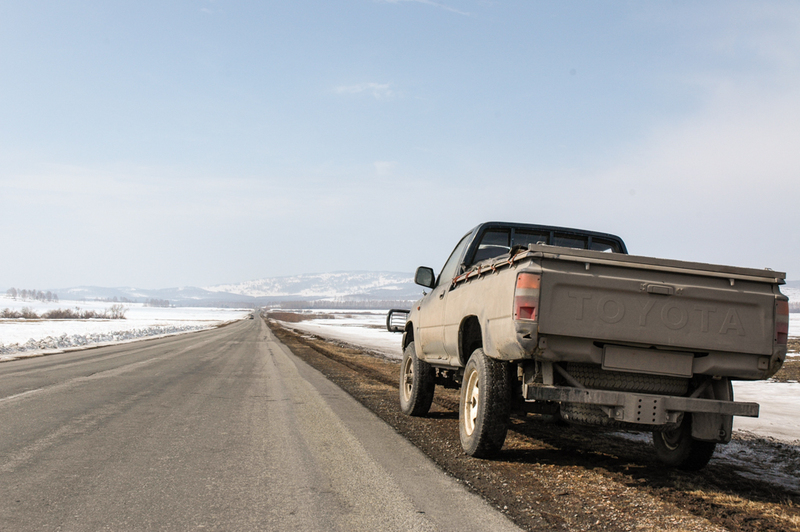 I then make my way through the beautiful coastal forests of Primorsky Territory and backtrack more than two thousand kilometres to turn north onto the Lena Highway, where I enter the Republic of Yakutia and immediately encounter an early onset of winter. 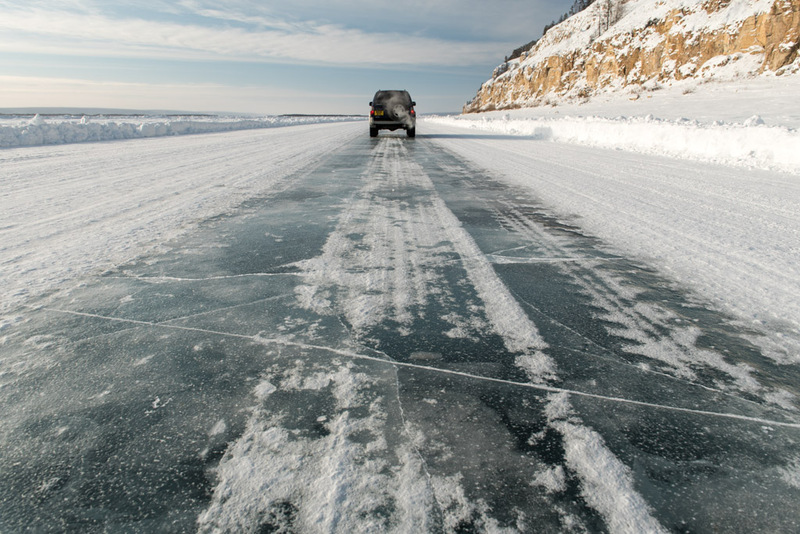 I glimpse the Lena River then turn east onto the Kolyma Highway, passing more than two thousand kilometres of stunning wilderness before reaching the end of the road in the city of Magadan. From Magadan I fly back to Moscow, and then out of Russia. On reaching Magadan in October 2017, the Odyssey had elapsed 1972 days and 232,031 kilometres. (44) In January 2018 I fly via Moscow to Magadan, spend a week doing preparation and maintenance on the truck, fly to Kamchatka for a week, then leave Magadan, heading west. I drive through the spectacular winter scenery of the Kolyma Highway, making a side trip to Oymyakon, then heading further west via Khandyga to Yakutsk. From here I head west on the frozen Lena River, covering around 1200 kilometres, mostly on ice, via the towns of Olyokminsk and Lensk to the town of Peleduy. 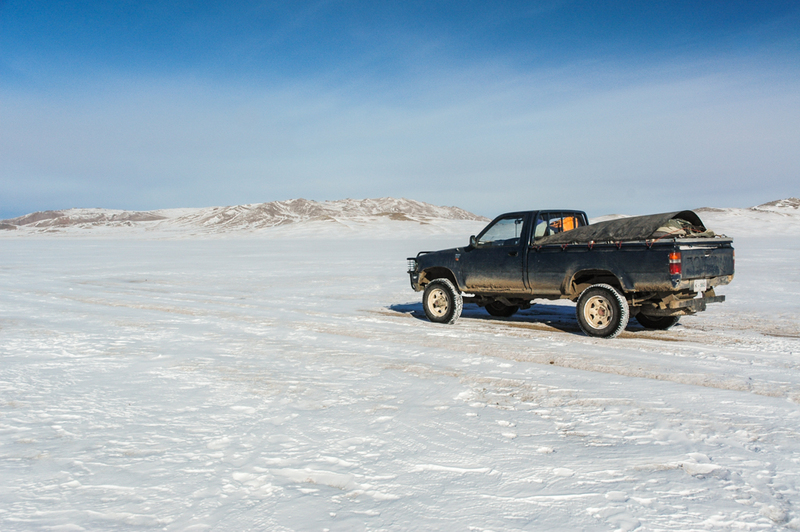 From Peleduy I take a private road through the Talakan oil fields and join the Mirny – Ust Kut zimnik (winter road). Reaching Ust Kut, I drive east on the BAM road to Severobaikalsk and from nearby Baikalskoye, drive 223 kilometres across the frozen surface of Lake Baikal to the town of Ust-Barguzin, continuing south to join the main Trans-Siberian Highway and stopping in Irkutsk, then leaving the highway to stop in the beautiful city of Tomsk. From Tomsk I drive north-west onto another zimnik which connects with the Ob River and the oil-rich Khanty-Mansi Autonomous Region, continuing north into the gas-rich Yamalo-Nenets Autonomous Region, where I stop in Novy Urengoy and Nadym, then take another zimnik to the capital, Salekhard. 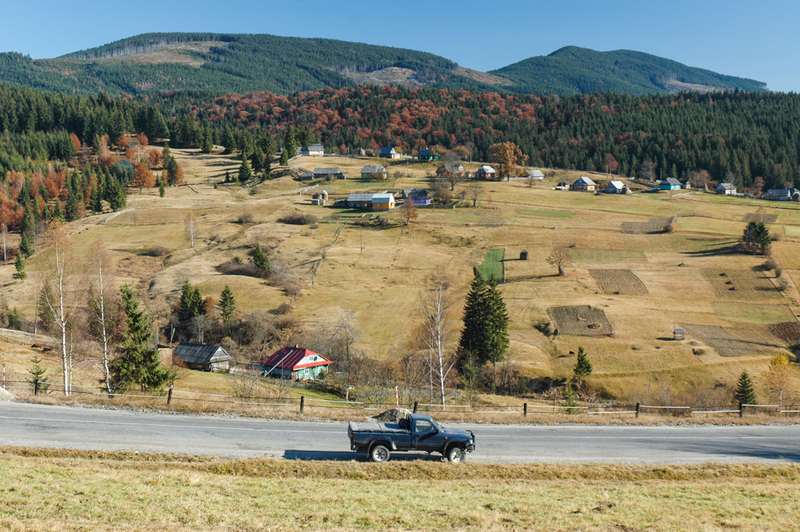 From Salekhard I drive south on the Ob River zimnik to Priobye, where I pick up an asphalt road and drive directly to Moscow. (45) From Moscow I head south via Kostroma, Oryol and Kursk, and enter the forlorn far east of Ukraine. Heading west, I pass Kiev and turn south through Vinnytsia to the charming port of Odessa, from where I board a ferry and cross the Black Sea to Istanbul. From Istanbul, I drive to the Bulgarian border, and then straight back to Western Europe. On my return to base in Europe in April 2018, the Odyssey had elapsed 2,058 days and 252,151 kilometres. Hello, great blog, you have seen so much about central asia. I am planning to go with my wife and 3 years old daughter to Iran this summer. Did you make a Carnet de Passage for your car? Do you think the situation is ok in Iran at the moment, I dont want to take risk with family. Sorry for my late reply, I have been travelling again for the last two months. I’m glad that you have enjoyed reading the site. Yes, I always travelled to Iran with a Carnet de Passages. It is possible without, but you have to pay several hundred euros at the border (the amount varies as it includes bribes) for some Iranian import document, and I don’t know how long you can stay with the car in Iran on such an import document. Having a Carnet de Passages is far more convenient. I am not sure what you mean about the ‘situation’ in Iran; it is much the same as it has been for twenty years or so. I am often asked if Iran is safe, and frankly I don’t understand why. Since the end of the Iran-Iraq war in 1988 Iran has been a peaceful country, almost untouched by international ‘terrorism’, with a very low (though growing) crime rate, especially against foreigners. Maybe you got confused with Iraq? 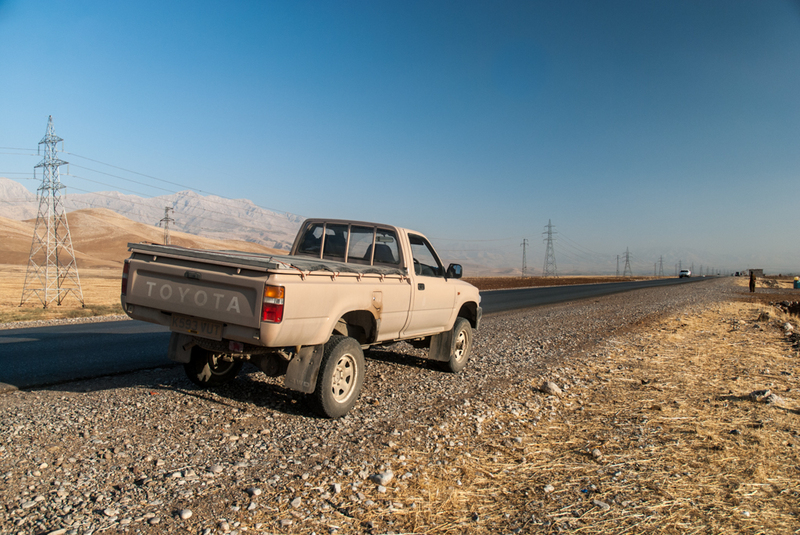 The only dangerous thing in Iran is their horrific driving; in my experience Iranian’s are the worst drivers in the world. Otherwise, Iran is probably safer in terms of crime and ‘terrorism’ than where you live. One tip: Do not mention to your visa sponsoring agency that you are travelling by car, or they will insist that you pay for a guide to accompany you at all times. Your blog is fascinating. I have an American friend that is 36 who is planning an overland beginning in southeast asia, into Central Asia where you have travelled much and going all the way to Europe. They are traveling in a rather elaborately outfitted Toyota Landcruiser. She is traveling with her American fiance. He is the same age. Their vehicle is obviously one whose owners look to have substantial resources. She is a tall striking woman who attracts attention by her looks. I am concerned for their safety. Am I being overly concerned? And thank you for such a beautifully written journal. Thank you for your comment, I’m happy to hear you have enjoyed some of my articles. In reply to your question, I don’t think there is any real reason for concern. I assume the route will be something like China – Ex-Soviet Central Asia – Russia – Europe, in which case there is no specific reason for concern. Obviously being a rich-looking foreigner is likely to get you charged more, but people in the region and almost all extremely welcoming and happy to see foreigners. As an accompanied woman, you friend has nothing to worry about in these countries. If their route were to include Afghanistan, Pakistan, India or Bangladesh, then your friend would be wise to dress conservatively as a mark of respect to local cultures which are quite conservative. So long as she is accompanied by a man, she will most likely be treated with nothing but respect, though this can take odd forms, such as a question from her being replied to (by a local) to her fiance, or reluctance for a man to shake her hand. She will have to get used to being stared at of course (though this applies to men too). I hope this puts your mind at rest somewhat. Many women travel through Central Asia alone, and accompanied and it is very unusual to hear of anything worse than staring and the odd call from guys. You are such an insparation I must get on the road again ….